Using the motto ‘GO BUILD – GO TRAIN – GO CHANGE’, Germany’s second workshop for the GO FAIR initiative was held in Berlin on 19/09/2018. It was organised by the Hamburg team from the international GO FAIR support and coordination office. We asked Monika Linne, the national advisor of the GO FAIR office, to briefly tell us what the workshop was about. Mrs Linne, you organised Germany’s second GO FAIR workshop in Berlin recently. What was your goal here? Our goal was to bring people together who are involved in various different projects to make research objects discoverable, accessible, interoperable and reusable. In other words: these were people committed to the FAIR principles. Here in Germany, this community is growing enormously, but many people involved don’t even know each other. This is something we wanted to change with the workshop. That’s why we gave participants space to introduce themselves and the specific issues they are currently working on. They were also able to tap into common areas of activity and determine important issues for GO FAIR workshops. Which participants were represented at the GO FAIR workshop and what did they work on? The breadth of participants ranged from institutions that promote research to representatives from infrastructure institutions to dedicated students. In terms of topic, they focussed on one of the three GO FAIR cornerstones during the workshop: GO BUILD, GO TRAIN and GO CHANGE. Very interesting assessments were made with respect to each issue. As an example, the ‘GO BUILD’ working group worked out which basic technical framework conditions are required to make data and metadata FAIR, and determined the specific challenges from the perspectives of repository operators and developers. The ‘GO TRAIN’ working group determined target groups in education and further training in the field of research data management and thought about what content would be best to teach. The group also collected ideas for suitable teaching and learning formats. The ‘GO CHANGE’ working group dealt with benefits and positive changes that a FAIR approach to research data has. But it also identified obstacles that prevent change from happening, and suggested ways to overcome those obstacles. And something that became clear to us overall: there was huge potential for synergies in workshop participants’ projects. Despite working in different disciplines, the problems for which they are looking for, and developing, solutions, are similar. What are the next steps now for the German GO FAIR community? We have a strong sense that the workshop has created momentum for future collaboration. We would be especially pleased if this collaboration would continue under the GO FAIR umbrella – by workshop participants organising GO FAIR implementation networks. By doing so, they would be building on their commitment to the FAIR principles and would be able to coordinate their efforts together. 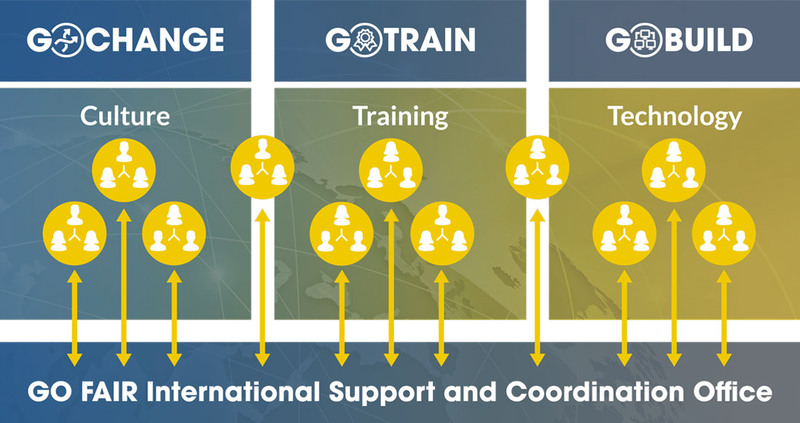 At the GO FAIR support and coordination office, we would then be able to ensure through specially organised workshops and conferences that the contacts made could be consolidated and that the standards developed in the implementation networks could be circulated as best practices as widely as possible. In my view, this was a very promising start for the German GO FAIR community! You can find a detailed report about how the workshop went and the outcomes of the workshop here. 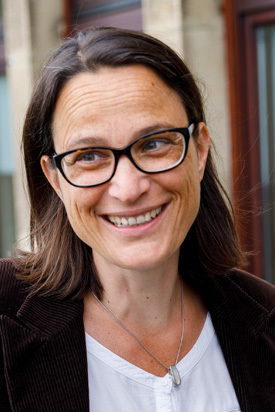 We talked to Monika Linne | Germany Speaker for the GO FAIR office (ZBW – Leibniz Information Centre for Economics, ‘Leibniz-Informationszentrum Wirtschaft’). Digital Natives bleiben draußen: Wie lernen Studierende mit Digitalen Medien?